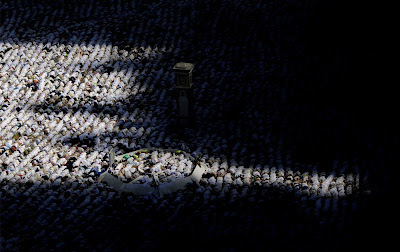 Muslim pilgrims perform the "Tawaf" ritual around the Kaaba at Mecca's Grand Mosque before leaving the holy Saudi city at the end of the annual Hajj pilgrimage on December 10, 2008. 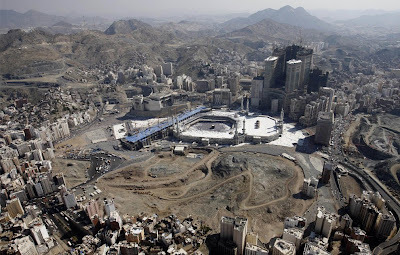 The official Saudi News Agency (SPA) reported that the most recent statistics put the total number of pilgrims this year at more than 2.4 million, almost 1.73 million from abroad and 679,000 from within the kingdom, mostly foreign residents. 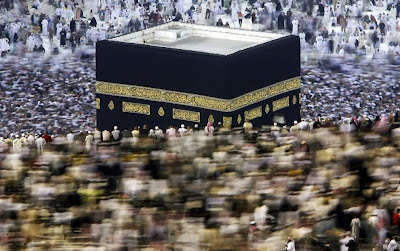 Tens of thousands of Muslim pilgrims move around the Kaaba, the black cube seen at center, inside the Grand Mosque, during the annual Hajj in Mecca, Saudi Arabia, Tuesday, Dec. 9, 2008. 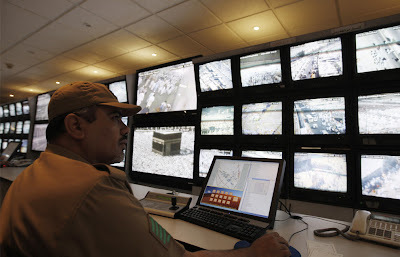 A Saudi policeman monitors screens connected to cameras set up at all holy places in Mina near Mecca, Saudi Arabia, Tuesday, Dec. 9, 2008, during the annual Hajj. 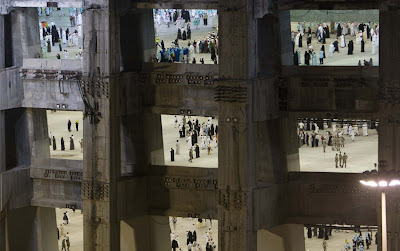 Muslim pilgrims are seen inside a building where, for three days, they will cast stones at pillars symbolising Satan in Mina, Saudi Arabia on December 9, 2008. More than two million Muslim pilgrims performed a second round of stoning walls symbolising the devil on Tuesday, as Hajj pilgrimage rituals neared their end.